Every year, thousands of people converge on coastal areas around the world during the last two weeks of September to raise awareness about the threats to coastlines and clean those areas of garbage. 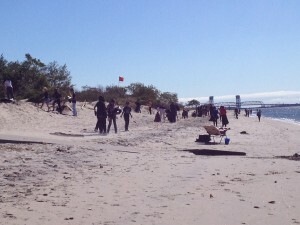 This massive effort is led by the Ocean Conservancy and NYC Audubon has participated for several years, in partnership with the American Littoral Society and National Park Service. 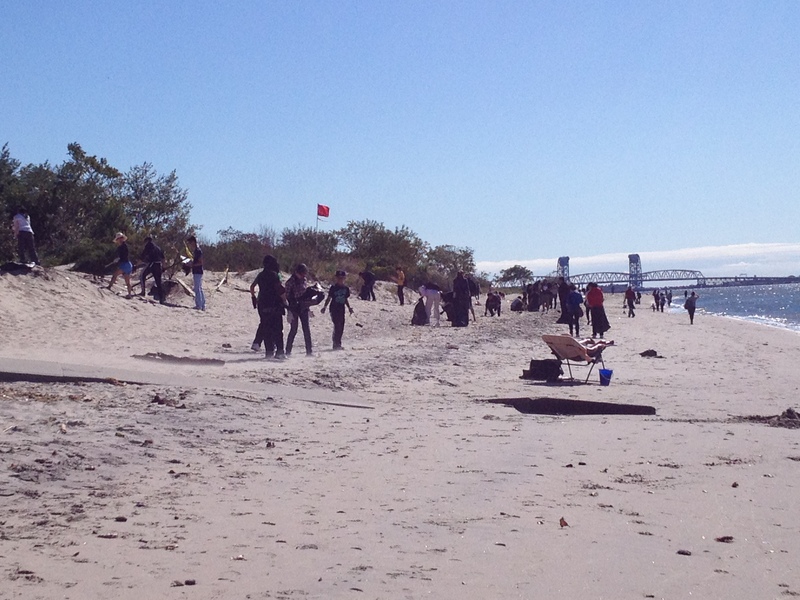 This year we took a crew of over 50 volunteers to Brooklyn’s Plumb Beach on Saturday, September 15th to clean the beach and adjacent dunes of garbage, while collecting data on the types and amounts of garbage we found. These data go into the Ocean Conservancy’s database and show how garbage changes over time and with location. Our volunteers did an amazing job, collecting 1,837 cigarette butts, 858 food wrappers or containers, 699 caps or lids, 603 plastic bags and 536 plastic beverage bottles – and those were just the top five most commonly found items! Many thanks to all our amazing volunteers for the hard work they put in to make Plumb Beach better for humans and wildlife. Each September 11th, two beams of light project into the sky from lower Manhattan to pay tribute to the lives lost on that day in 2001. 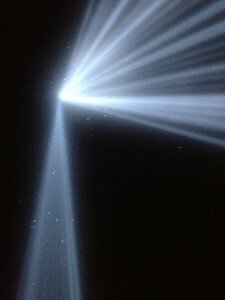 These Tribute in Light beams are a moving tribute but may pose problems for migratory birds that can become disoriented and unable to navigate out of the strong beams. NYC Audubon has a team of volunteers on site every year to monitor the beams and, in partnership with the Municipal Art Society and National September 11 Memorial & Museum, we have a protocol in place to shut the lights off for a brief period, which allows the birds to clear out. Last night was a big night for migration and by 10:15 pm there were up to 1,000 birds circling in the lights and we initiated shut down, which lasted for twenty minutes. We needed to extinguish them again at 11:50 pm because of a similar number of birds circling. After that time the numbers dropped and the beams remained on for the rest of the night. Thanks to our volunteers and great partners, the Tribute in Light can shine into the night sky without harming birds in the process. When September rolls around, many of us think about fall migration and the countless birds flying overhead as they make their way southward. Here at NYC Audubon, we’re not only thinking about it, but working to help those migrants navigate the city more safely. 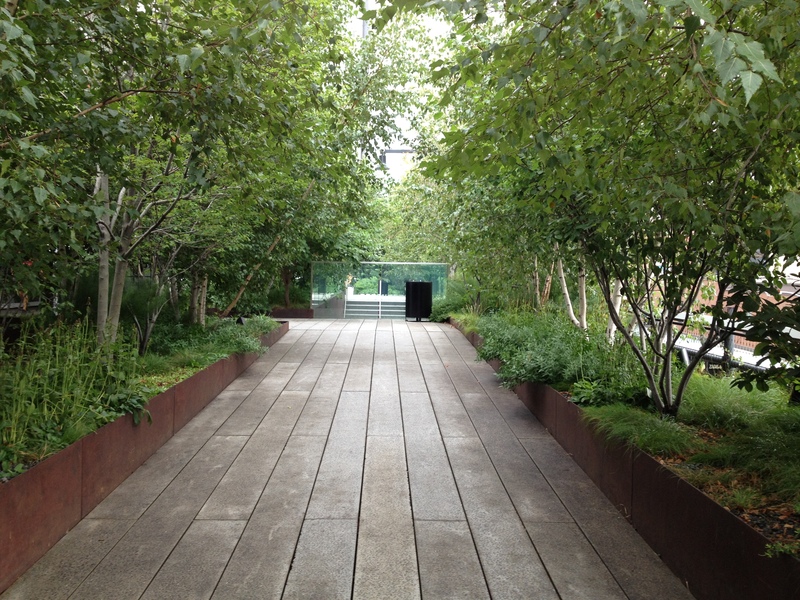 Two of our major programs – Project Safe Flight and Lights Out NY – are focused on understanding how the built environment affects birds and working with buildings to clear the birds’ paths. Reflective glass and lights of buildings can both be problematic for birds. Project Safe Flight volunteers visit specific sites every morning to look for injured migrants that collide with buildings; the data they gather give us insight into problem areas and information to share with the buildings as we look for solutions. Buildings participating in Lights Out NY agree to turn their lights off during migration at certain times, saving lives and energy. As you enjoy the spectacle of fall migration be sure to think about just how arduous the birds’ journey is and spread the word!